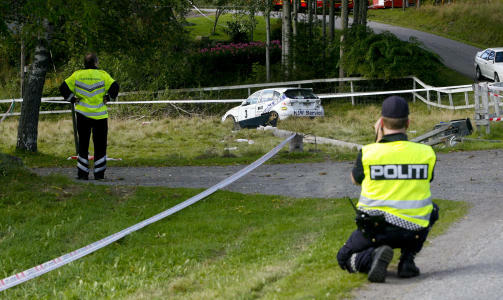 Description The accident that claimed the life of the ten-year-old girl Elise Kvernsmyr, happened shortly after the start of the second special stage "Dalsroa-1" of the 2009 Rally Larvik. The Subaru Impreza Sti Group N driven by Andreas Mikkelsen went off the road and struck the young female spectator who was watching the rally with her parents. Andreas Mikkelsen, aged 20, winner of the previous edition of the rally, and his co-driver Ola Fløene escaped unhurt.